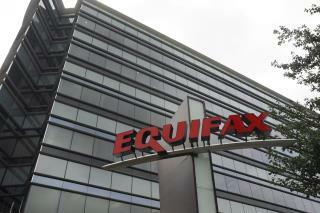 (Newser) – Right after Equifax discovered it had suffered a huge security breach, three senior executives dumped nearly $2 million in shares—and now the feds are looking to see if there was any criminality involved. Per Bloomberg, sources familiar with the investigation say the Justice Department will be seeking evidence on whether insider trading laws were broken, working with both the FBI and the Securities and Exchange Commission on the breach and theft of personal data and on the stock sales themselves, respectively. Since the intrusion was revealed publicly on Sept. 7, shares of the company's stock have fallen around 35%. At the center of the investigation, per the sources: CFO John Gamble; Joseph Loughran, the company's president of US information solutions; and Rodolfo Ploder, president of workforce solutions. Blah, blah, blah. When they give these people longterm prison sentences and lock the cell doors on them, get back to me. this is only the tip of the iceberg and the most obvious misbehavior. the degree of corporate malfeasance is staggering and often goes unnoiticed. "Insider trading suspicions"?? Ya think?